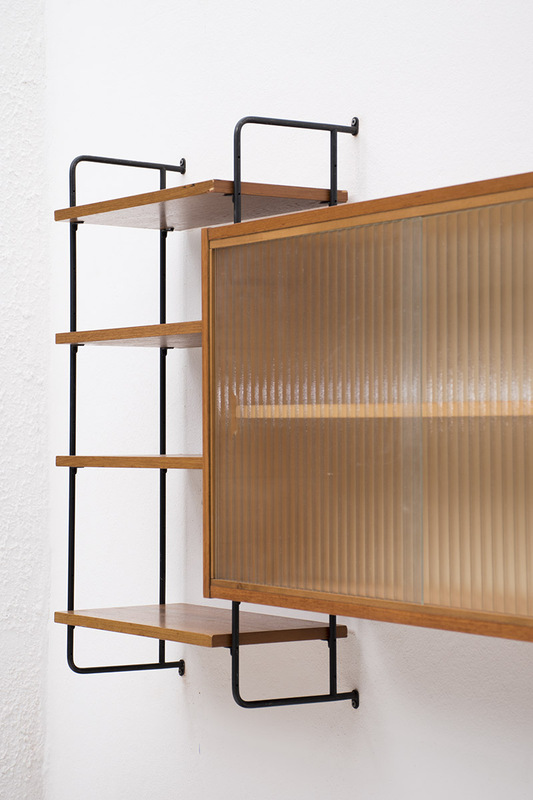 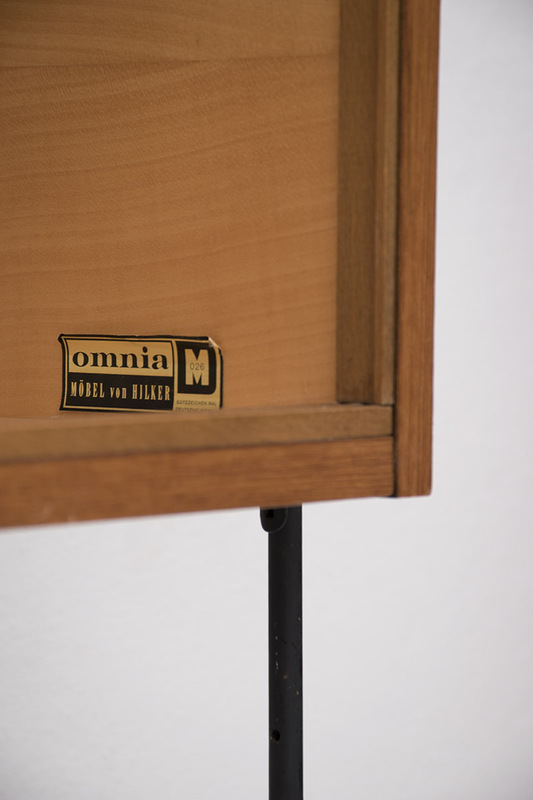 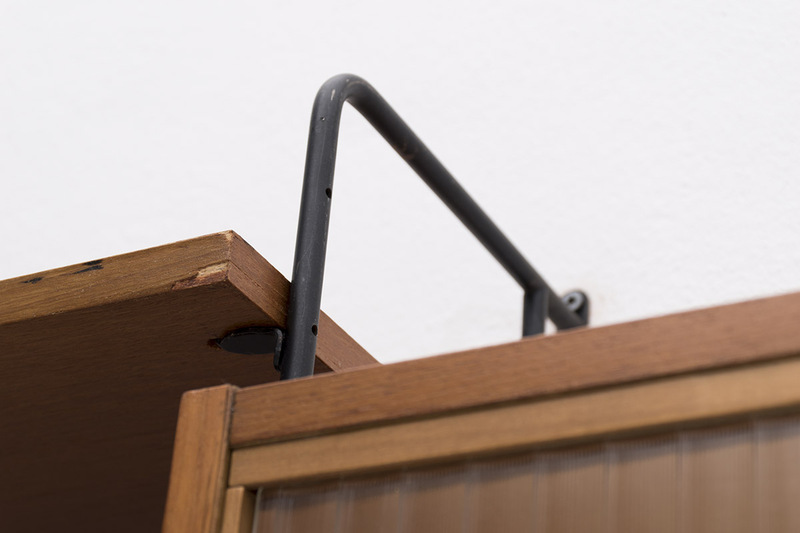 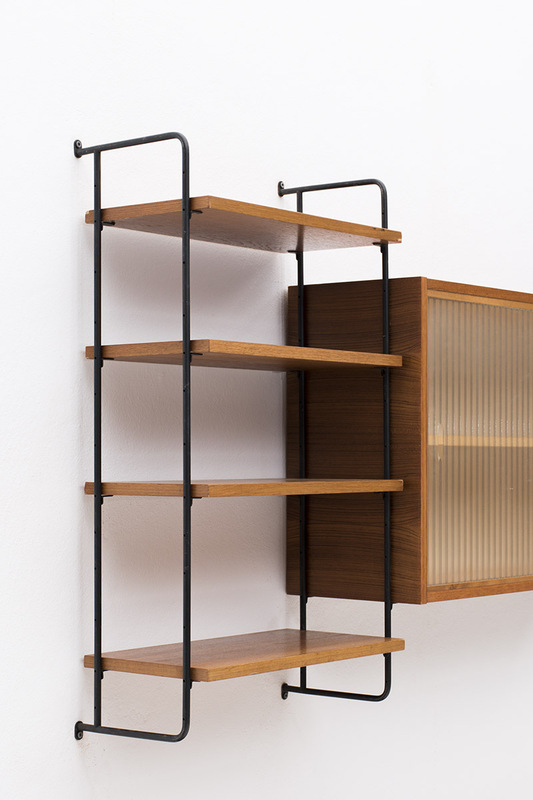 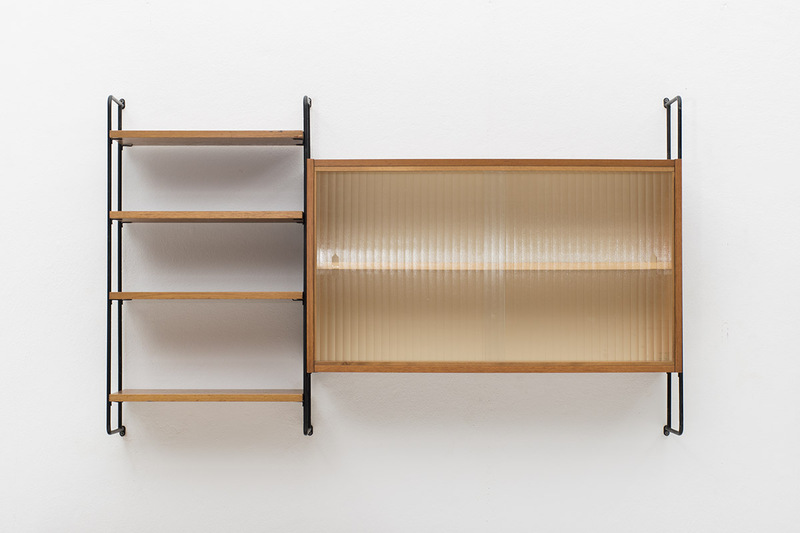 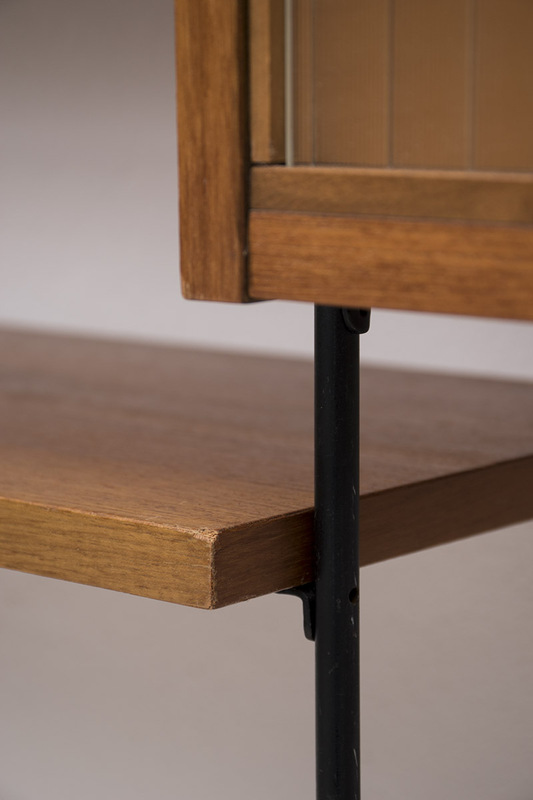 Wall unit designed by Ernst Hilker and produced by Omnia in Germany, 1950. 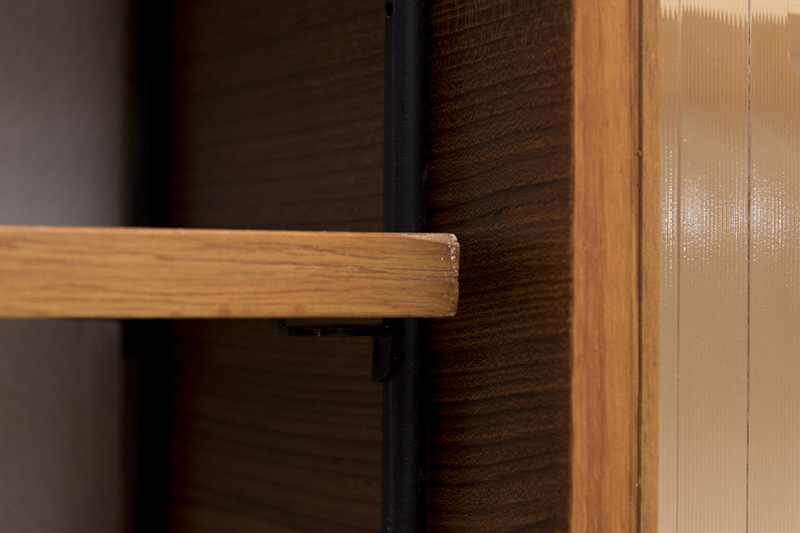 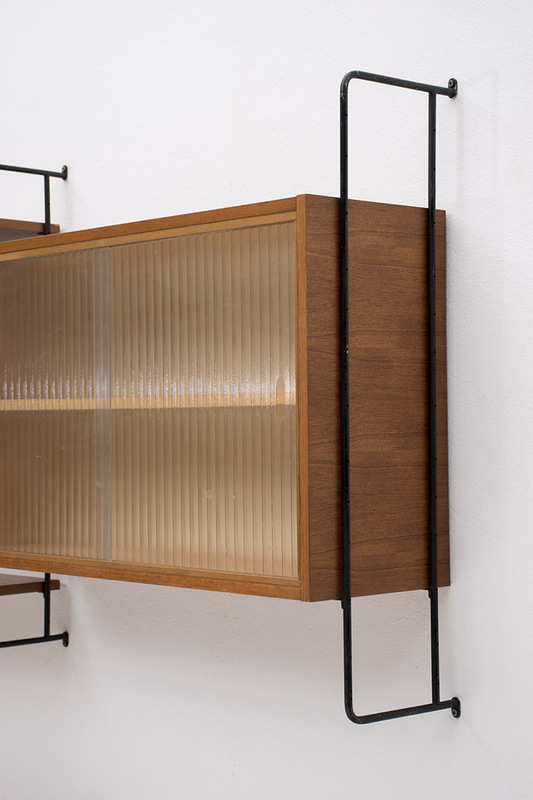 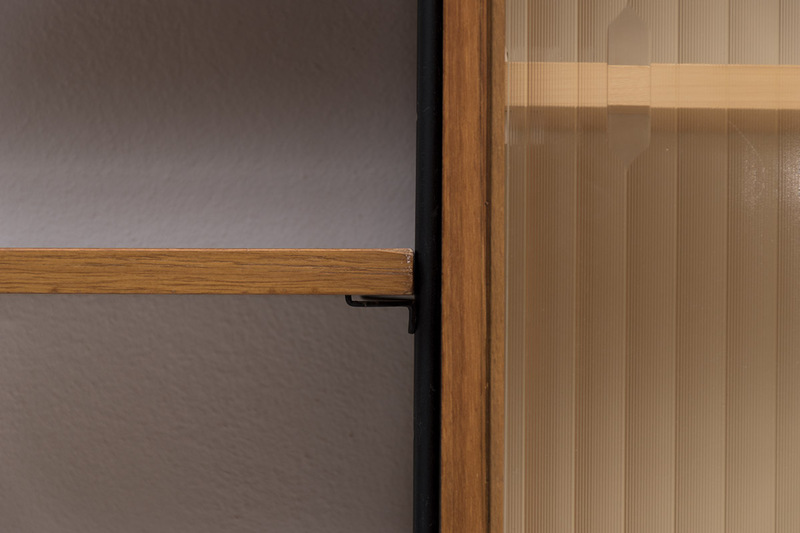 Teak veneer display cabinet with ribbed glass doors and shelving system. 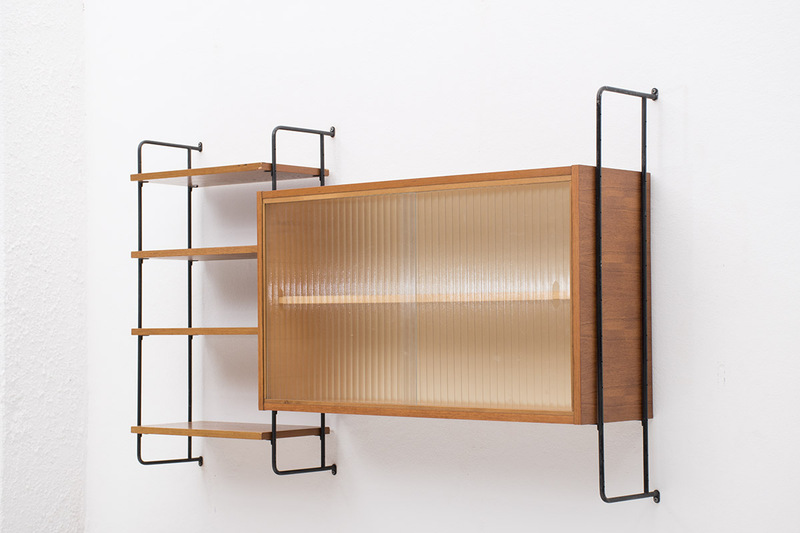 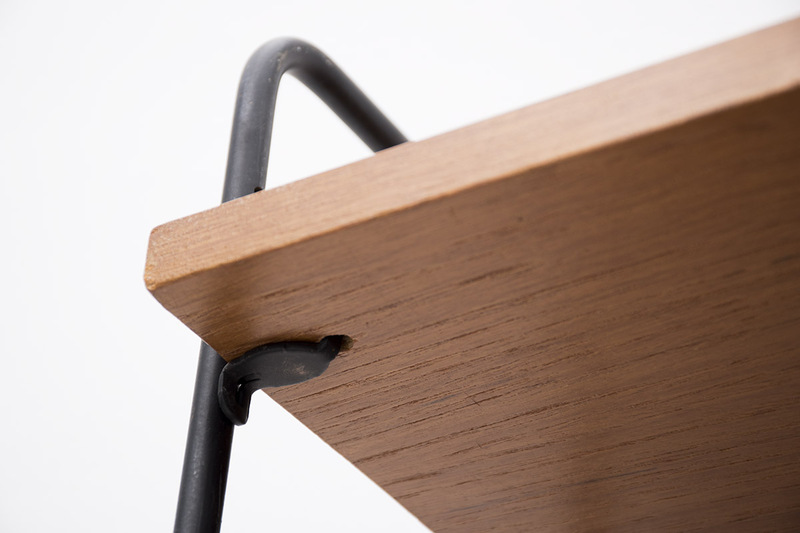 Modular system, elements can be arranged as desired.